Janel Bennett dated Mario Winans in the past, but they have since broken up. Janel Bennett is currently available. Where and/or how did Janel Bennett and Mario Winans meet? Bennett met Winans in 1997 through their mutual friend Sean "Diddy" Combs. Why did Janel Bennett and Mario Winans break up? Mario is refusing to support his 3-year-old son with Janel, who was in an eight-year relationship with Mario before she had her son, Jordan. She claims she was evicted from her home in Miami because Winans won't pay child support. She claims to be "homeless and living with friends on the South Side of Chicago," where she works as a cocktail waitress. In 2005 a DNA test proved paternity. 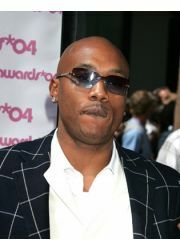 Documents filed in a Miami-Dade, Fla., court last Jan. 2 stated, "Mario Winans is obligated to pay Janel Bennett $4,500 per month due on the first of each month as child support. Janel said that after telling Winans she was pregnant, he disappeared from her life. She claimed Winans has only seen Jordan once.